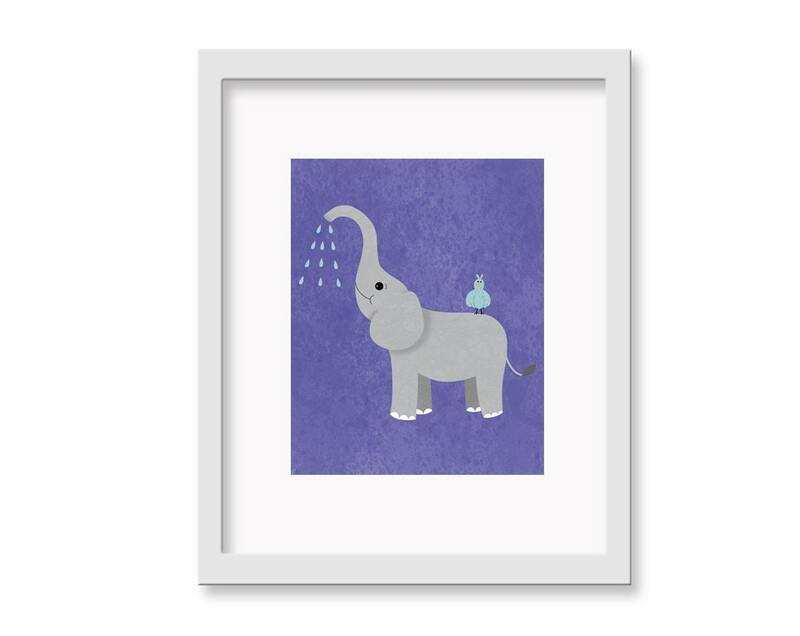 My elephant is a fun decor idea for a child's nursery or playroom! Makes a great baby shower gift! My elephant artwork is hand drawn first before being scanned and colored digitally. I then print each piece with a professional printer using Ultrachrome archival inks and acid free velvet fine art paper. Each print will be personally signed by me, the artist.